Most of us travel across bridges on a daily basis. Some are large, some are old, and some are beautiful. But rarely do we stop to ponder the intricate and sophisticated construction process by which this bridge came to be in the first place. 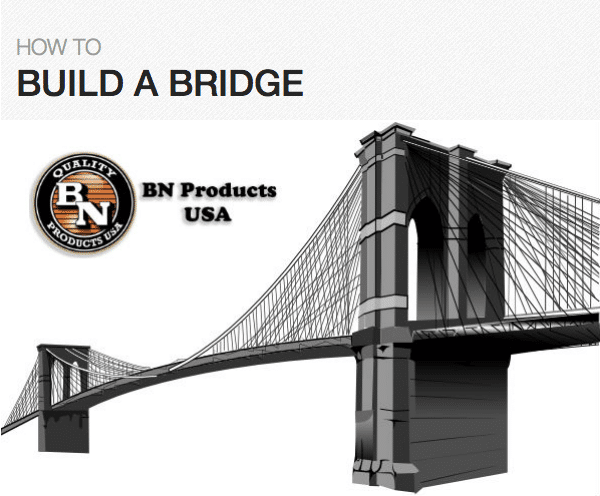 The most important part of building a bridge is the planning it involves. Without thinking about things like materials required, the type of bridge that is appropriate for the location, what its main usage will be, and the construction timeline for the project, that bridge may have never come into existence in the first place. Location: First and foremost, one needs to consider location. The site must be the best place in the area for a bridge, and the team should scope out the area to find the optimal bridge location. If there is water present, that complicates building, since the bridge should be elevated well above the water. An often overlooked fact is that water’s salinity also affects the materials used to build the bridge. The terrain surrounding it should match how the bridge will be designed, and, of course, construction should abide by regulations and restrictions set by the local authorities. Usage: The bridge’s main usage will determine what type of design the build should follow. If the bridge is for pedestrian traffic or for a multi-lane highway, the materials and architectural style should reflect the different ranges of weight that the bridge will have to stay rigid under. Beam bridges consist of horizontal metal beams that need piers constructed at each end. The piers support the weight of the beam. It’s necessary for the piers to not be too far apart. This limitation means that beam bridges are often very short. Truss bridges are essentially a collection of triangles. They are often made with steel bars in a series, positioned straight. Arch bridges are old designs that can be repurposed many times. In Ancient Rome, they were made of stone weighing many tons, but in the present day arch bridges are constructed out of concrete. Suspension bridges are the longest bridges and can support the most weight. Most of the materials used to construct suspension bridges are concrete, iron, rebar, and steel. Timeline: The construction timeline is separated into pre-construction, construction, and post-construction sections. During pre-construction, the design needs to be perfected, since a single mistake or miscalculation can cause a collapse of the bridge. Any changes to design should be noted explicitly, and everyone should be on the same page. During this phase, surveyors will confirm the project is feasible and the crew will proceed. During the actual bridge construction phase, crew members should comply with industry standards and local regulations. The foundation of the bridge must be built with precision, and the beams should be driven into an appropriate depth. Post-construction, the bridge should be inspected regularly on an ongoing basis for any damage or wear and tear that requires maintenance. For more information on professional concrete construction tools, check out BN Products’ rebar cutters, saws, and portable mixers.